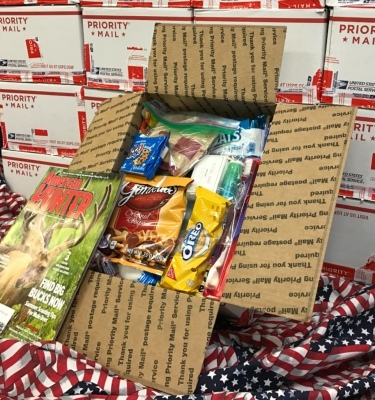 For just $25, you can send a care package filled with supplies, treats, and little reminders of home to a soldier of your choice. Over the years we've perfected our boxing technique, allowing us to cram our 11"x8.5"x5.5" boxes full of things like popular snacks, groceries, candies, books and magazines, socks, toiletries, and personal letters of encouragement from you, the sender. Just fill out the form below and H.O.T. will send you your Soldier ID bracelet and get your soldier's care package on its way. Please fill out this form completely. ​Submitting this form will not send this soldier a package; it will only add the soldier to our database and will ensure that you get your two free bracelets. If you'd like to send your soldier a care package after you finish this form, click here .